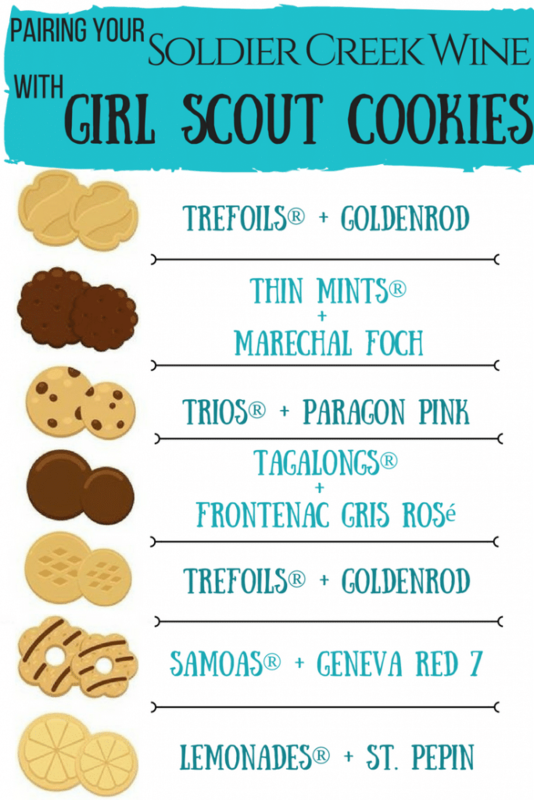 Is it Girl Scout Cookie season again? well, despair not dear winos, i have prepared well in advance for just such a crisis. BEHOLD, dear readers, I’ve created a handy graphic to guide you through your cookie and wine consumption! i won’t ruin this experience with more words. 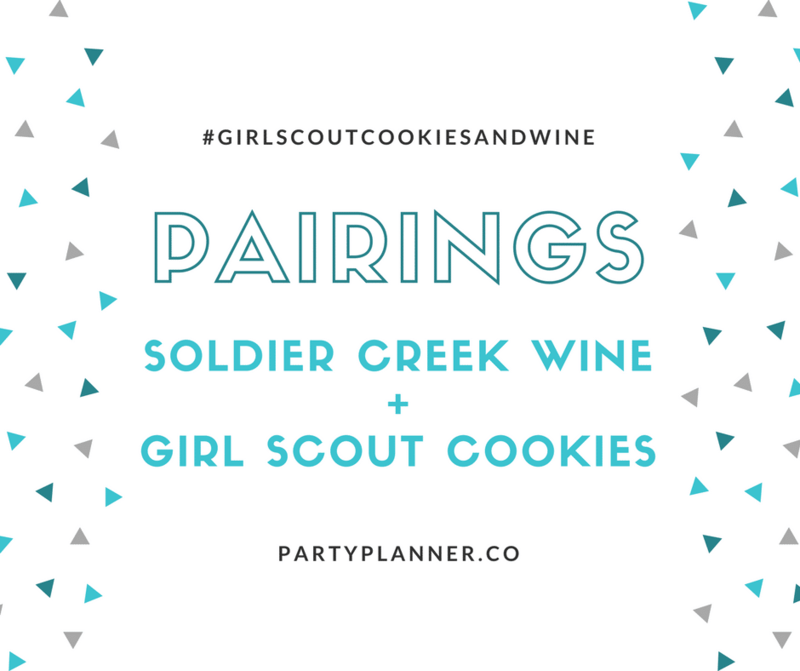 just get out there, find a girl scout, get some cookies, and pair them with the soldier creek wine you have at home (i know you stocked up during the case sale).